Picture credit to: The Black Detour. The Magnolia Mother’s Trust is an initiative generated by the Springboard to Opportunities NGO, having been referred to at a recent article on the production of the documentary “Inherent Good”. 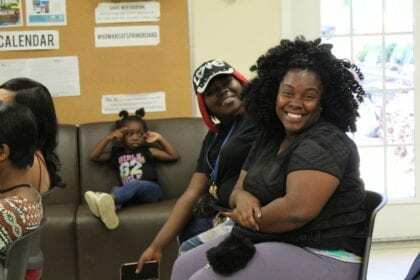 This initiative aims at supplying to poor families headed by black American women in Jackson, Mississippi, the extra cash they systematically are in need of. Since black women in the United States earn much less, on average, than white, non-Hispanic men (37% less), an inequality that is even more acute in Mississippi (44% less), the experiment is aiming at helping these very disadvantaged families, while studying the effects of supplying unconditional cash. This cash transfer project, financed by the Economic Security Project, will deposit 1000$ per month, for 12 months, in 16 low-income single black mothers bank accounts. No questions asked. The women in question will be randomly selected from a set of black female adults with children who are considered to live in poverty, in the Jackson area. The complete list of names will be known before the end of this month, with payments starting in December 2018. An important feature of this program is that some of the potential beneficiaries have helped to craft the initiative, bringing crucial input that brought, for instance, leadership training, psychological counseling and community service to the package (hence it will not be only a cash transfer program). However, participants will not be forced to uptake these auxiliary aspects of the experiment. In this region of the United States, economic, social and racial (all aspects intertwine) inequalities are particularly severe, a problem that has not been solved by previous cash transfer programs. These, being conditional, namely on work uptake and income, “leave little room for single black mothers to create opportunities for themselves”, according to Aisha Nyandoro, the executive director of Springboard to Opportunities. Nyandoro adds that “the project is about changing the narrative and dispelling the myth of the Welfare Queen and allowing African American women to show what is possible when we trust low-income individuals”. Yes that is very gracious of your program, but you leave no information on how can I apply for this grant which will surely help my family. The purpose of the article is not to serve as a guide for people to apply, but to inform on the existence and general nature of the initiative. You can try and go to Magnolia’s website and get a contact to reach out. The only good these experiments do is get Basic Income discussed. But the adverse effects are numerous, but all stem from the underlying assumption that the poor and deprived have to show that they will improve if given money. It is only after there is a radical redistribution of wealth over a long period of time that its effects will become clearer, as attitudes long in the acquisition become inappropriate and are replaced. The wealthy and the secure will equally need to change, as their conscious and unconscious sense of superiority becomes inappropriate. Why do we not have trial programs which deprive samples of the rich of their excess wealth for a couple of years and see what happens to them and see if they are improved? I will not answer that question, but leave it hopefully to work slowly on the reader”s thought as yeast does in the dough.